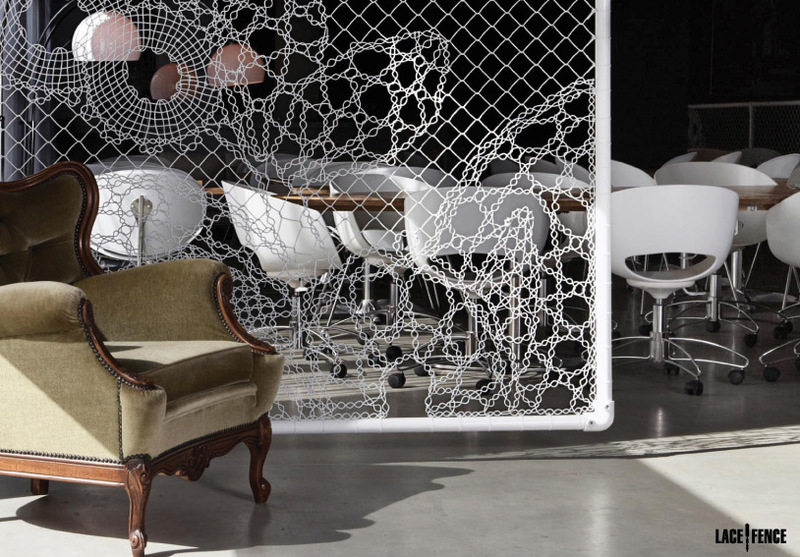 So I’ve decided that if the price is within my budget, the Dutch Design House of Demakersvan’s Lace Fence is the choice for my backyard. 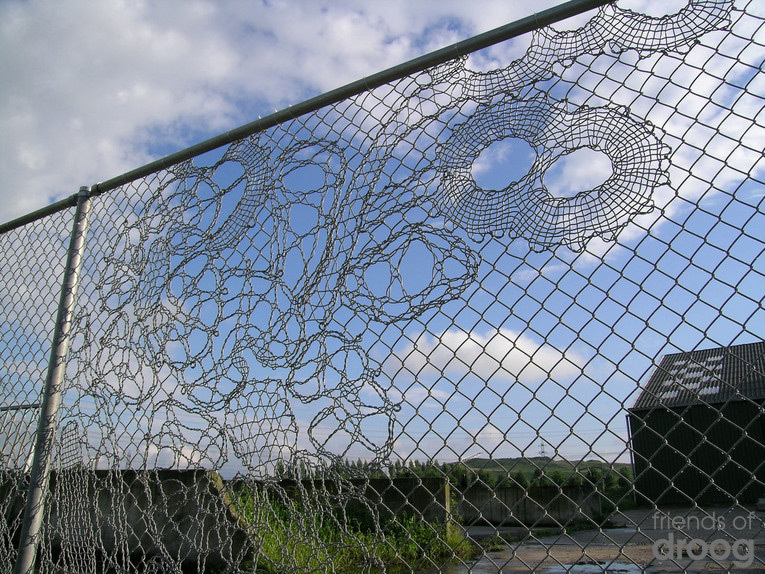 It combines the ancient craft of lace making with the industrial chain-link fence. 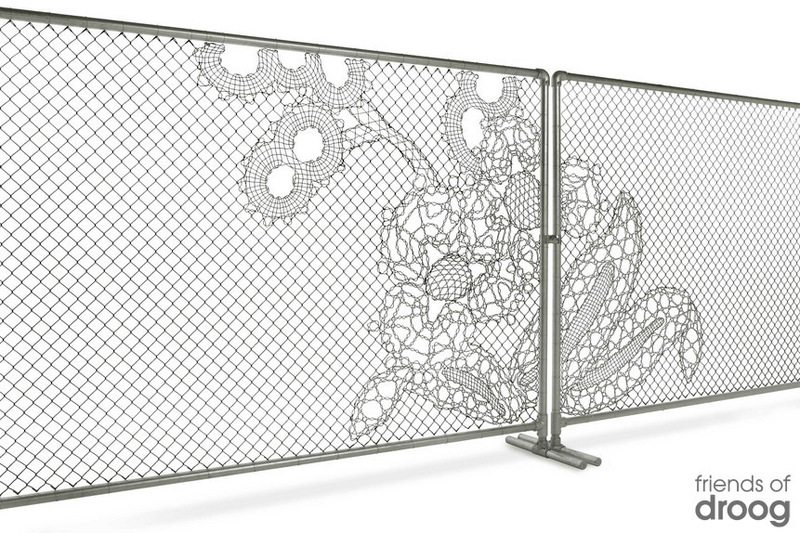 With design options ranging from antique lace floral to contemporary designs and custom art patterns, Lace Fence illustrates how something utilitarian can also be decorative. Hostility versus kindness, industry versus craft. 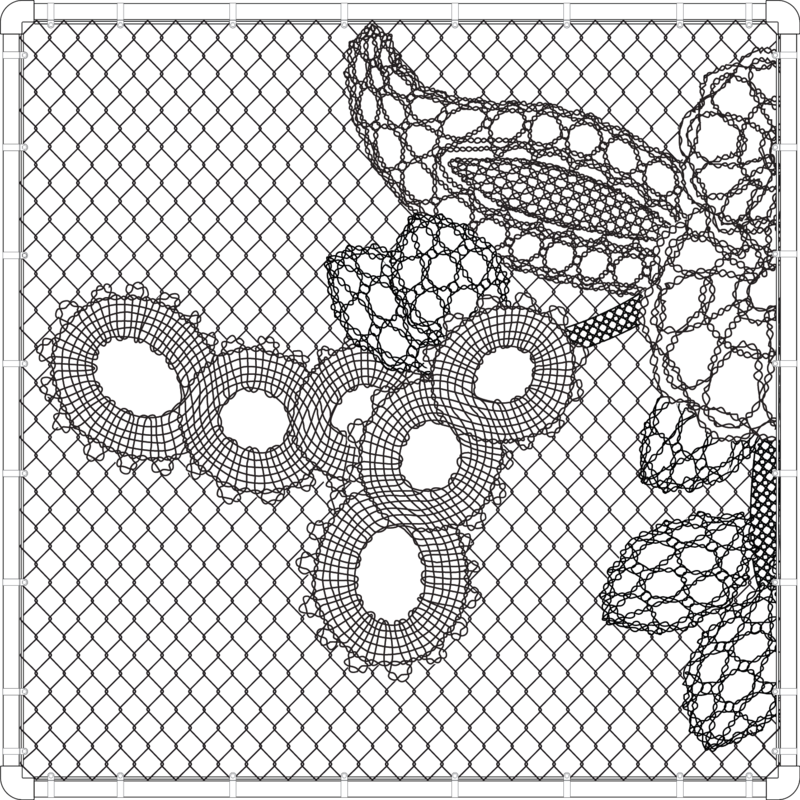 (above) Lace Fence used as interior room panels and/or room dividers. These fences are amazing! How do you find all this cool, inventive, creative resources?! I found this source by accident. I think. I don’t remember now. It might have been through one of those serious cutting edge design/architecture blogs that are so intimidating. But I’ve had it bookmarked forever. See, I do sometimes check out your blog. Those fences are incredibly awesome. Thanks, Judy. I’ll posting another option some time in the next couple of weeks. I do like this type of fences. It will be a nice and unique addition to your sun garden. Thanks, Renata! I do hope that it won’t be too expensive. Are you kidding me? This is way cool, PA!! Can’t wait to see the finale! Thanks, Kay! I hope I didn’t jinx the project by announcing its arrival in Houston. This whole process has been a very long arduous painful journey. I just hope the truck doesn’t get hijacked coming from Houston and find that my fence is being used to protect some Mexican drug cartel’s fort. You are amazingly creative, Patsy Ann. I cannot wait to see the installation. Thanks, Margaret, but I didn’t design this fence. I stumbled upon it by accident on one of those super fancy high design blogs that I visit regularly. Never seen anything like this. I can’t wait to see how you use it in your yard! These are gorgeous! I love the wonderful things you find!